I'm very pleased to be publishing my annual report on World Social Work Day. Its theme of promoting community and environmental sustainability chimes well with the direction of travel we find ourselves on for adult social work in England. It also seems particularly relevant as we strive to find a better balance between working with individuals and taking more account of the strengths and assets within their communities to enable them to lead the best possible lives. With this in mind, my report sets out the progress made since the previous edition in March 2016, and addresses the challenges ahead, as well as my priorities for the next twelve months. There is still much to do to improve public and media perceptions of social work – and that includes working to raise awareness and engagement with clinicians and other care partners. 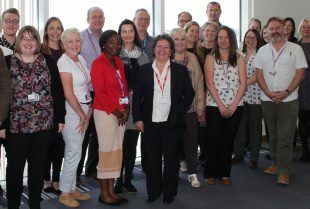 We must continue to demonstrate the positive difference we make to people’s lives, how involving social workers in assessments and care planning leads to better use of resources – and ultimately improves health and social care outcomes. I hope the work I have done with the sector is going some way to raising the profile and value of adult social work, challenging and improving practice in the field and proving that our involvement is crucial – not a ‘nice to have’. 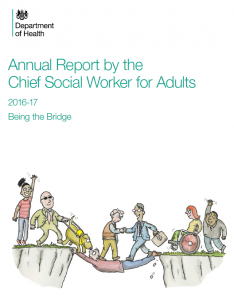 On this point, the leadership of the Adult Principal Social Workers Network over the last year deserves a special mention, and I particularly recommend reading their contribution to the report. The work I have committed to in re-positioning social work at the heart of adult social care. Promoting strengths and outcome-focused approaches to support people. 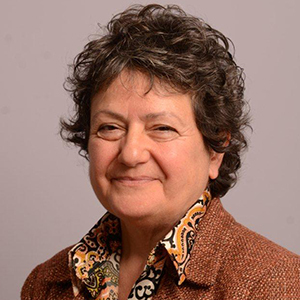 The value of closer collaboration between social workers, GPs and other health professionals. The report also features case studies from local authorities across the country highlighting some of the great work being undertaken to develop social work practice. This includes a focus on strengths based approaches, social work in mental health, strengthening the social work workforce and our vital role in promoting greater health and care integration. In service to this point, I recently published an advice note in partnership with ADASS and the PSW Network, Social Work: Essential to Integration, which sets out the contribution social workers make and how they can support local and regional health and social care integration initiatives. 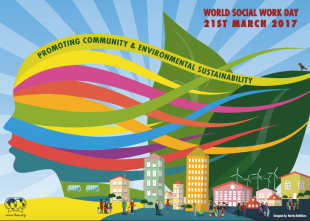 Much like our pursuit of integration, World Social Work Day provides an opportunity for all social workers to celebrate and raise awareness of the work they do, and the impact they have on improving the lives of some of the most marginalised and excluded people in our societies. Our advice and advocacy, negotiation skills, assessment expertise, relational support, signposting and engagement with decision making are highly regarded by those with whom we work. I am enjoying seeing the proof of this as I meet and engage with social workers around the country. Promoting and building community may be seen more as a wider local authority responsibility; however social work has a key role to play in overcoming the obstacles and barriers to achieving better outcomes for people. For example, many of us have had involvement in developing improved housing options for people who need care and support, making sure leisure, health and education services are accessible to people with physical and learning disabilities. Returning to World Social Work Day’s particular theme, environmental crises do of course impact on quality of life and jeopardise resources for future generations. Natural disasters are hugely distressing and hard to recover from, but there is a human cost too to over industrialisation, and the social and economic inequalities arising from indifference to its effects. As a profession, having an understanding of - and concern for - the environment and its impact is an integral part of our holistic response. Our practice has to be set within an understanding of the wider environment if inequalities are to be tackled. Housing, income security, access to leisure and green spaces, all contribute to improving wellbeing and resilience. This profession developed out of ‎a concern to mitigate and – where possible - repair the damage caused by poverty, disadvantage, abuse and neglect. At its core lies a commitment to human rights, social justice and personal independence, working with individuals, carers, friends and family to build communities and maximise the social assets at their disposal. I hope you enjoy reading my report and look forward to your comments and observations. Most importantly, I hope you take time to celebrate World Social Work Day and reflect on the positive impact that social work values and practice have on improving lives both here and around the world.